Traditional Celtic cross with Celtic knot filigree detail. Handmade in Dublin. 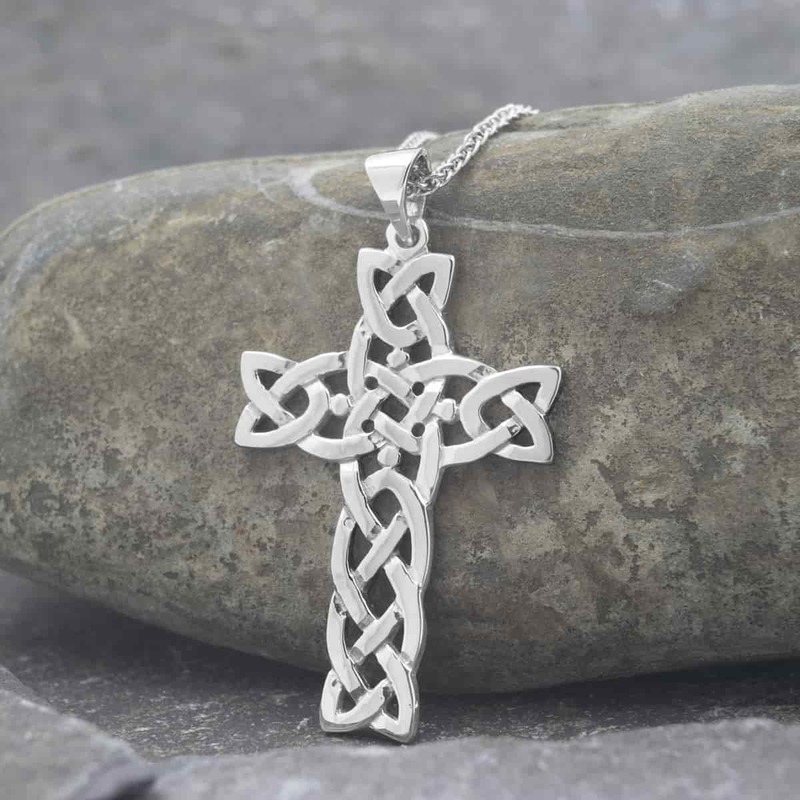 This beautiful traditional sterling silver Celtic Cross features an intricate filigree Celtic knot design. The cross measures 24mm wide and 34mm high and comes fitted with an 18″ sterling silver chain. Handmade and Hallmarked in Ireland and shipped for free from Dublin.